Run following command to install it on Fedora/RHEL and Centos based systems. Run following command to install it on arch Linux based operating systems. Utilizes available bandwidth to maximum by downloading file using multiple connections. Download multiple files simultaneously and ability for simultaneously download. All features that a torrent client app offers are available in this little command line utility. It offers meta link downloads. Supports remote procedure calls using JSON-RPC and XML-RPC protocols. No need to wait for current download to finish, batch download files easily. The multi threaded mechanism of aria2 can overload the destination server. Wget is still lightweight as compared to this, wget consumes 20% less resources than aria2. 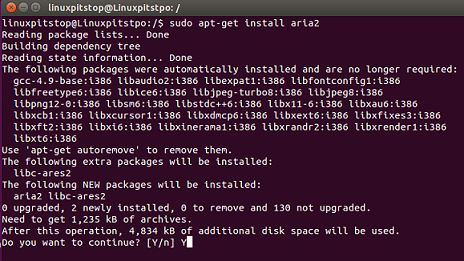 Aria2 has not yet been tested on the huge level that wget is being used, so it may not yet be 100% ready to be adopted as default download manager. Off course, it is most widely used and tested download Manager. A simple program, with fewer features, but working stable over the decades. Comes by default with all Linux distro, no heavy installation needed. Lightweight as compared to Aria 2. Although, not very feature rich, but Wget is still doing the job pretty well, however, advance users will definitely prefer aria2 as it caters the needs for faster and simultaneous download. 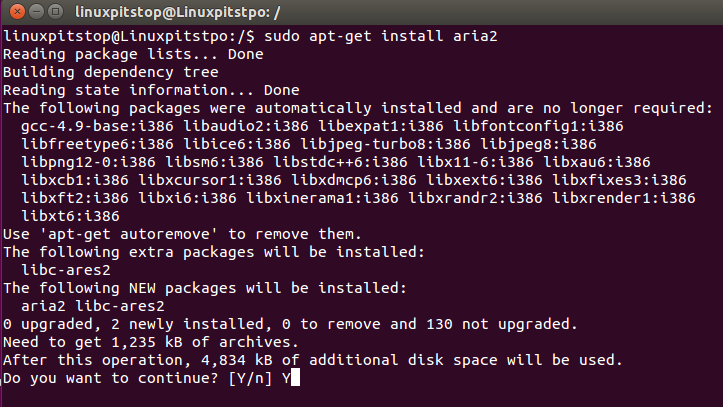 It might take a long time for aria2 to replace wget as default download manager because wget is being used in almost all installer scripts available for linux distros at the moment.